Hazelwood Green received 30 responses from local, national, and international teams. 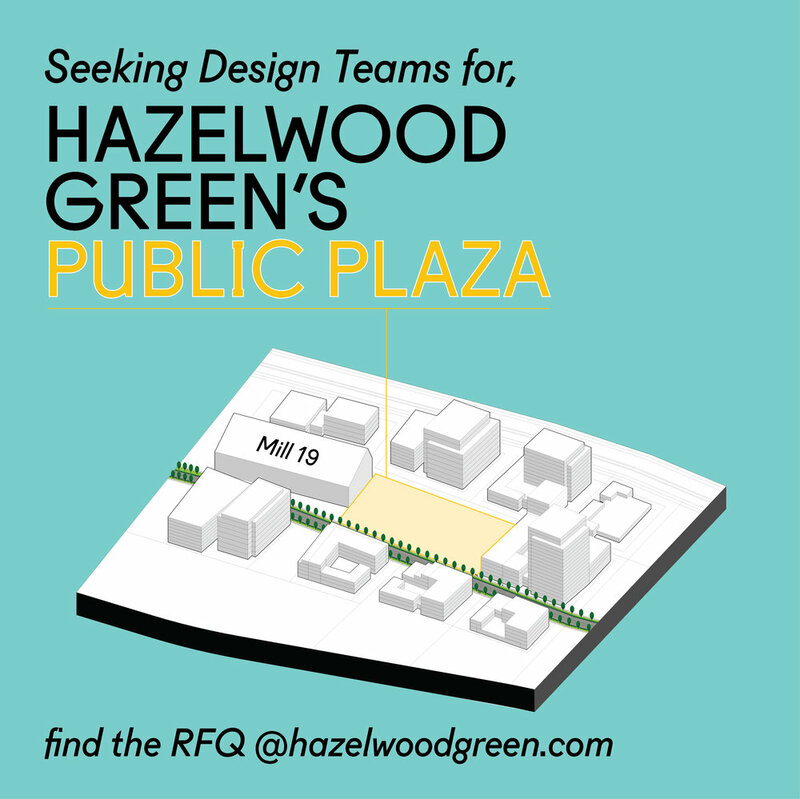 The Hazelwood Green Project Team and the Plaza Advisory Committee is in the process of reviewing all 30 responses from the teams, and will be notifying respondents of the shortlist selection before the end of the month. Please continue to refer to this page for updates on the process, including frequently asked questions, or any clarifications and amendments can be found below. AMENDMENT #1. RFQ Page 6. "12. WORKPLAN. Outline a workplan of the process with schedule, including deliverables, tasks, and resource assignments (include percentage of time (hours) per project team member)." To clarify, at this stage of the process, we would like to see a high-level approach and get an understanding of which team members will be working on which components, i.e. who will actually be doing the work. We don't need to know the exact hours / time spent at this point, that will come at the RFP stage. SUMMARY Q&A. All questions and "intent to submit" should have been sent to us. Please find below, the compiled Summary Q&A of all questions asked to-date ( as of 12.08.2017). One correction re: question Q29, underground parking may be a possibility for the Plaza, but we would need to very clearly understand overall cost-benefit. WEBINAR. A webinar on the project was held on December 11, 2017 from 3:30-4:30pm EST as an opportunity for more context on the project and a dialogue, as well as address any unanswered questions. A link was made available to those that participated and/or we've been in communication with. SUMMARY OF IDEAS. The preliminary input on the Plaza from the Big Tent Event was posted online.